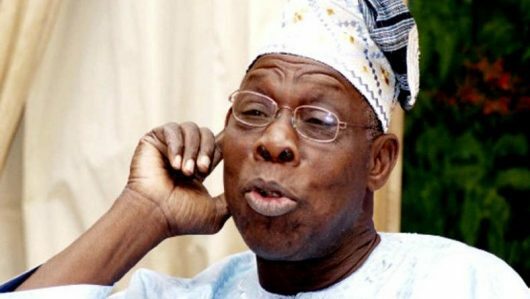 Taken at face value, Obasanjo’s remarks cannot be faulted. Recall that in the Feb. 23 presidential election there were three younger candidates in the crowded race. Kingsley Moghalu, Fela Durotoye and Omoyele Sowore, all fell well behind the eventual winner and the runner-up, both in their 70s. We also recall saying in our editorial extolling the passage of the “Not too young to run” legislation youngers Nigerians aspiring to elective offices that older politicians would not, on the basis of the new law, simply step aside. They would have to fight their way to the top. That meant sometimes accepting mentorship from the old political horses they hoped to displace. However, this is as far as we are prepared to accept Obasanjo’s advice. The rest of it was given tongue-in-cheek. A former military ruler in 1976, Obasanjo became an elected civilian president in 1999 and was re-elected in 2003. In 2007 he tried unsuccessfully overstep the constitutional two-term limit. Even his failure to get a third term did not stop him from trying pull the political string from behind his successors. In a sense, he was as much a stumbling block against the rise to power of younger, more imaginative politicians. In the recent polls he supported a candidate well above 70 rather than one much younger. Does this, therefore, devalue the message? By no means! The messenger may not be the right one to deliver a good message. We shall be mistaken to throw away the baby with the bathwater. Let our younger politicians ignore the messenger if they don’t like his face or voice, but they must accept the message as true and run with it.